Our dark and dismal 1990's master bathroom has been transformed into a bright and beautiful room. This was a complete renovation right back to the studding...which means a few "cans of worms" were found along the way. All were dealt with in a professional and timely manner. If one word could be used to describe Pro-Pack, it would be integrity. They stand behind their work. We are so pleased with our renovation and highly recommend Pro-Pack. Pro-Pack gave us a quote which was similar to 2 other quotes. I stressed the importance of staying on budget. We worked mostly with Shelly and trusted her artistic ability. After meeting Mike, we were confident they would only do things correctly. Shelly stated early in our renovation "You will have to trust me and I will have to trust you." We did and we now have a gorgeous on suite and on budget. Everything worked out very well, all their staff were professional and the job site was always clean and tidy. This was my first experience in remodeling. I was worried at first because you hear all sorts of horror stories from other people and their remodeling experiences. This was not the case with Pro-Pack. There are professional, courteous, friendly. They keep you up to date with the job and costs. They take care of everything for you, right down to helping with the design. The designer, Shelley was most great. Thank you to Pro Pack for an outstanding job on our kitchen renovation. After consulting a few design build firms we selected Pro Pack for our major kitchen renovation. We felt at ease through the initial consultations, a feeling that continued on throughout the project. Shelly immediately saw our vision and put us at ease with very clear and concise professionalism and some very obvious skill. If you admire watching the top TV designers, you will appreciate Shelly. We never had to wonder or stress about being in good hands. Shelly is an excellent designer. No question about it. Mike and the construction team were very competent, reliable, and easy to deal with. The workers were polite, courteous and efficient. Any curveball they encountered was handled professionally. From start to finish this job went as planned, without any major stresses or concerns and we finished with a beautiful, elegant, bright, kitchen that was exactly what we wanted. The only flaw was coming in a bit over budget after having been told that that was unlikely to happen. But it wasn't severe, and it was minor compared to so much that was good. I would have enough confidence in Pro Pack to give them an initial consultation then just leave the country while they did what they do. If budget was unlimited we would have carried on throughout the entire house, and as is, we look forward to be able to do this again. We recently hired Pro-Pack Contracting & Design Inc. to do a major renovation of our home: two bathrooms and the kitchen/family room. My husband and I are both delighted with the results, which are above and beyond what we could have imagined. The owners, Mike and Shelly, are a great team. Shelly, with her knowledge of design and colour as well as products and materials, made making choices fun rather than the ordeal we had dreaded. And Mike has a great eye for the potential of a space. For just one example, he ended up giving us a lovely large glassed-in shower when we had thought we would have to settle for a tiny awkward one due to space limitations. Pro-Pack's staff are friendly and conscientious and their attention to detail is amazing. We are happy Pro-Pack clients. My husband and I engaged the services of Pro-Pack for our ensuite renovation. We found Mike and Shelly to be professional and knowledgeable, but also friendly. During any meetings or phone calls they were courteous and helpful. We were never left wondering what was happening with our renovation. We received frequent updates by either email or phone calls from Ariane, the company coordinator. Ariane would also phone to make sure we were pleased with the progress of the renovation and if there were any concerns. Everyone associated with the job were skilled professionals and respectful of our home. There were never any unwelcome surprises. During the product selection phase Shelly was open to hearing and considering any of our concerns or suggestions. It is very apparent that Mike and Shelly hold their clients in the highest esteem. I just wanted to let you know that I love my new bathroom that was designed and built by your wonderful company. The work ethics and workmanship of all your employees is outstanding. My family is so delighted that I now have use a safe and very comfortable bathroom. This is the first ever renovation I have dealt with, and your assistance, encouragement and professional knowledge made my vision come true. My budget was limited and you were able to stay well with in it. I would highly recommend that any one wanting first class design and building they contact your company. Pro-Pack team is amazing. Not only they do a great job, but they are smiley, easy going and full of great ideas. You can't go wrong choosing them for any project you have in mind, they will give you creative ideas and great services. The final results exceeded our expectations and we absolutely love our updated main bath, ensuite, and basement powder room. We loved working with the Pro-Pack team and look forward to our next project. We definitely recommend them. 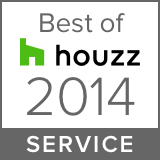 This company expertly handled two renovations flawlessly. They completed both projects on time and on budget. 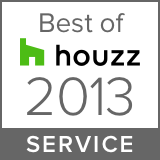 They provided excellent service and professional installers who were on-site on time, and were respectful of our home. I intend to hire them again for future projects. I have told all family and friends of this company. Over the summer I had my kitchen completely renovated, floors through most of the house replaced and a couple of walls filled in. Mike and Shelly were great to work with; they have a customer centered approach and were always quick to respond to any questions or concerns I had. I found them very reasonably priced. The combined design services where a huge help!!!! Shelly was so helpful with all the details and was great at providing suggestions & guidance with design decisions. We searched and reviewed through several contractors before hiring Pro-Pack. From the minute Mike came to our home to quote the job I felt immediately comfortable with his approach and words. It was clear that Mike had a ton of experience. Mike help solidify exactly what we wanted in our bathroom renovation and offered helpful advice and steered us away from choices that would ultimately not make sense and cost us unnecessary expenses. Jody and Carson were incredible! I can't say more. Their attention to detail throughout every step shows evident in the final product. We felt extremely comfortable with having the crew working in our home when we weren't present and always came home to a clean and tidy work area. Shelly's provides an invaluable service. Shelly helped us make beautiful design choices and provided plenty of design and decor direction throughout the job. We have no regrets whatsoever with our choice to hire Pro-Pack. The price was fair, the speed of the job was great and most of all the quality of the work was beyond expectation. We had been waiting a long time to renovate our main and ensuite bathrooms, which were stuck in an 80's time warp with a non-working shower in the ensuite (yes, they were ugly!). Mike listened to what we wanted, made some really good suggestions and was totally on track with the estimated date to start the project. He was very responsive when we had any questions or concerns throughout the project. 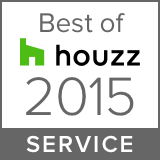 We can see why Pro-Pack is #1 in customer satisfaction on Houzz! Shelly provided invaluable advice about colour and design choices. In fact, we ended up with different colours in both bathrooms, neither of which we had considered initially. This gave a spa feeling to the main bath and a west-coast-casual/serene look to the ensuite. We absolutely love the final results! Their crew are amazing... friendly, courteous, respectful, and very helpful. We have already arranged the consultation for our next renovation and are excited to see the same great results. Thank you so much Shelly and Mike! We had a very positive experience with Pro-Pack when we did a kitchen renovation. The work was very professional and the owner/Manager (Mike) made sure to stop a few times to check the quality of the work done by his employees. As he said, it's his reputation that is on the line. He probed us a few times to make sure that we were satisfied. Great work, done on time, and respectful of the timeframe. Pro-Pack owners Mike and Shelly are the "Gerry Maguires" of Home Renovations. Down to earth, easy going, no pressure, just all around "GREAT PEOPLE". Fantastic work was done on Bathrooms, Kitchen, and Flooring. Every worker from Plumber to Electrician, to Painters, to Floor Installers, are genuine down to earth good people. Great company, should be on the TSX. There are many reno companies out there, BUT, before you choose, you owe it to yourself, to give PRO-PACK a call. What do you have to lose ? Just Do It....... 5 STAR PLUS! We had our bathroom completely remodeled. From the moment the crew came into the home tel the last moment they left, it was the highest quality of professionalism. You could not hope for a better group of people to deal with. If you have any doubts you can rest assured you are in the best hands possible. We are delighted with the final out come as well as the craft man ship. Do yourself a favor and look no further. You will be glad you did. On top of all that you get your own interior designer free. She is fantastic. We are very pleased with the bathroom renovation Pro-Pack completed for us! Shelly was able to put our scattered thoughts into concrete ideas that look great! The quality of the work is top notch, and the crew was a pleasure to work with! We made a couple of changes during the project and the Pro-Pack handled them, well, like pros! Next up...living room/kitchen!! Phenomenal job done renovating our upstairs, always pleasant and respectful workers who worked hard and created a beautiful space for us.